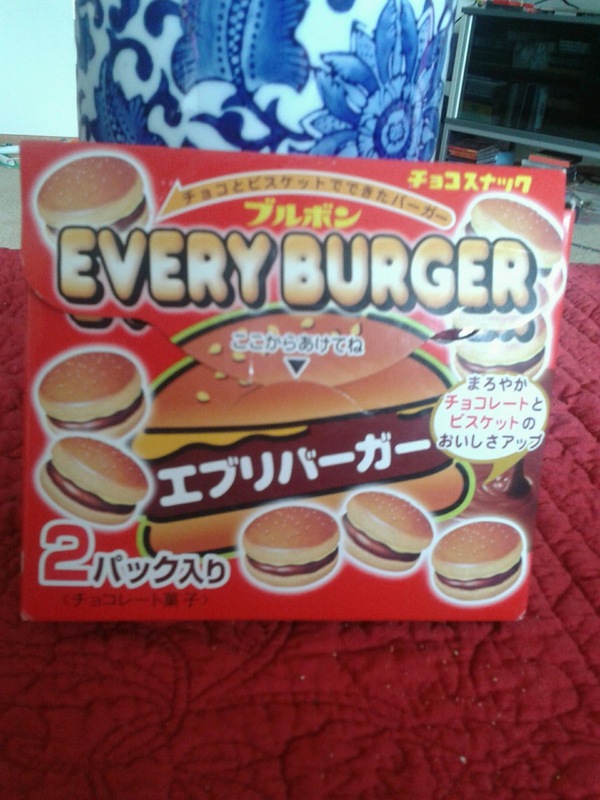 My goodies review today will be on this ever so popular 'Every Burger" which is basically a cookie snack with chocolate that is shaped into burgers. Each individual box comes with 2 separate sleeves of the chocolate cookie snack. As you can see from inside, there are a few little burgers in each tray. I have to say that the concept of this snack is quite cute and perfect for kids. 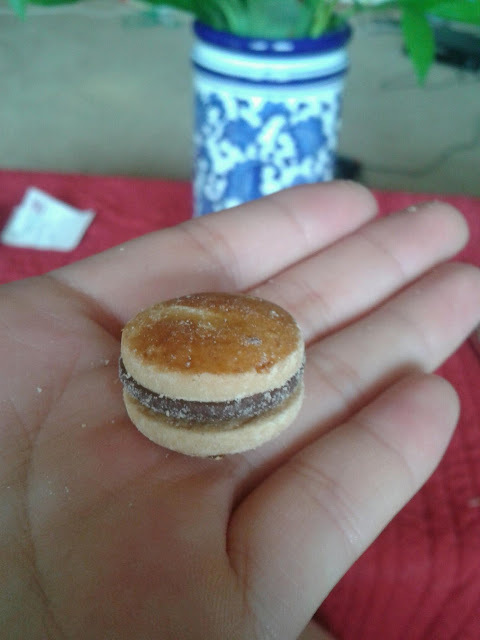 They're small, cute, bite-sized cookies that resembles mini burgers so its no wonder kid gravitate towards them or even people getting them as a little gift. 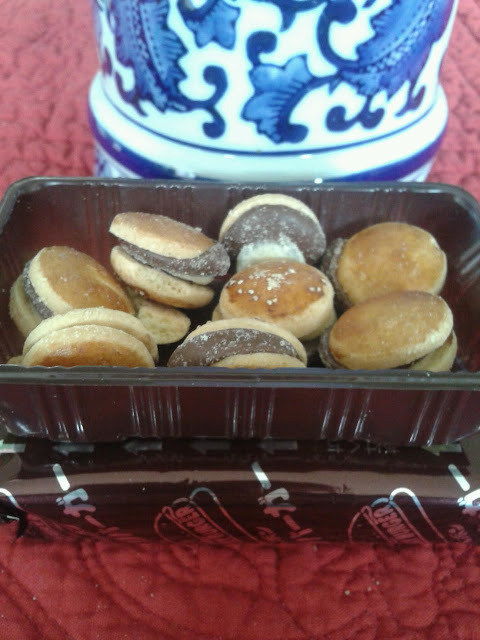 The cookie and chocolate are actually not bad either. 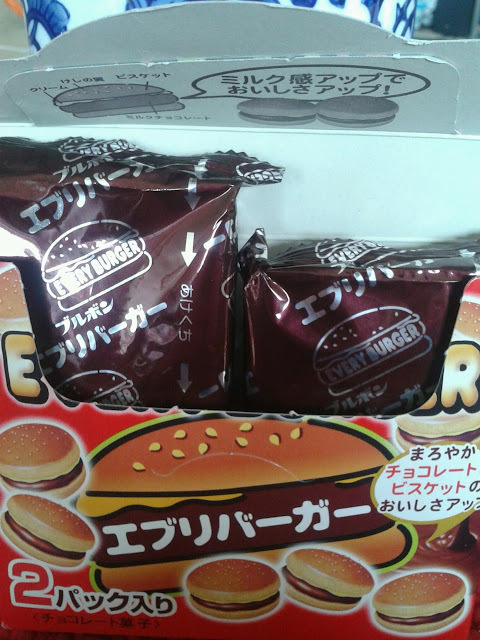 It isn't anything I haven't tried before since I feel it is fairly similar to any type of choco/cookie combo out there. The only down side to some people may be the price. 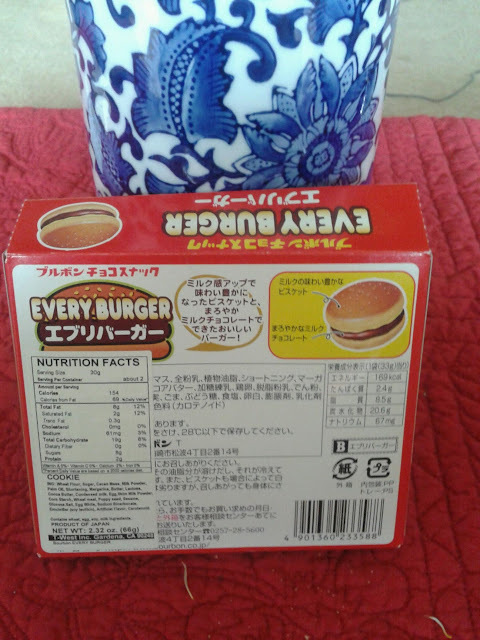 I bought this at my local Japanese store for around $2.69, but this item is from Japan and somewhat of a novelty item. I'd recommend this as a gift for anyone who is into Japanese snacks or small cutesy items in general.